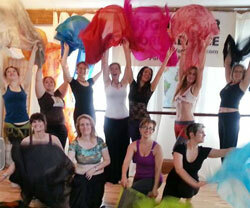 Get notified of all of our new Portland, Maine dance classes and special events. Belly Dance, Adult Ballet, Latin Dance, Teen Yoga, Cuban-style Zumba, Oula, Jazz, and more! 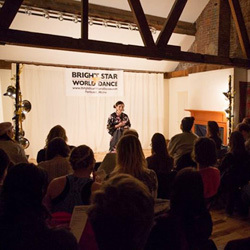 Join a class at Bright Star! Our teachers are warm and supportive. Classes are available for a variety of levels. Visit our Classes Page to learn for the full schedule! Want to teach a class? Email us! Space is available to rent by the hour. Check out our Special Event Calendar! Dance Workshops, Lectures, Performances galore! In addition to our regular classes, we have a variety of special events of all different genres. Visit our Events Page for fore information! 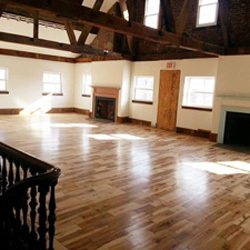 Looking for Rehearsal Space or Event Space in Downtown Portland, Maine? Rent dance studio space by the hour! Our Dedicated Dancers program provides a monthly practice space subscription to help you get in the studio with no distractions! 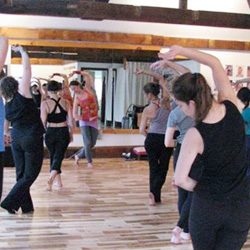 We welcome rehearsal groups and special events to our beautiful dance studio. Mirrors, wood floors, high ceilings, natural light... Bright Star's environment helps to foster inspiration and creativity. Folding chairs, tea tables, floor cushions, yoga mats, mood lighting, and stage lighting are available for you to use. Visit our Rental Page for all the details!